Uber is making its vertical take-off and landing (VTOL) plans more concrete, via new partnerships announced today during its Elevate conference focused on the VTOL industry. The partnerships are with established aeronautics and emerging VTOL players, including Aurora Flight Sciences, Embraer, Bell Helicopter, Pistrel Aircraft, Mooney and ChargePoint, and will focus on two markets initially, including Dallas in the U.S. and Dubai abroad. The partners will provide various elements of the technology requirements for Uber to run its so-called Elevate Network, a planned on-demand airborne ride-hailing service that aims to cut trips in dense urban areas that would normally take as much as 30 minutes down to around 5. The idea sounds science fiction-y because it is; this is basically a plan to make flying taxis a reality. Uber has discussed its Elevate proposal in detail in a white paper previously, but the company is now outlining some of the steps it’ll take to make its far-flung vision into something more tangible — and it’s setting a timeline for results, too, targeting the 2020 World Expo in Dubai as a launch pad for the first Uber Elevate Network demonstration. Dallas will also have a demonstration network ready to roll around the same time, according to the plan revealed today. Dubai has already expressed ample interest in a number of advanced transportation projects, including other flying cars and Hyperloop, and has been able to put up financial resources to support its ambitions. 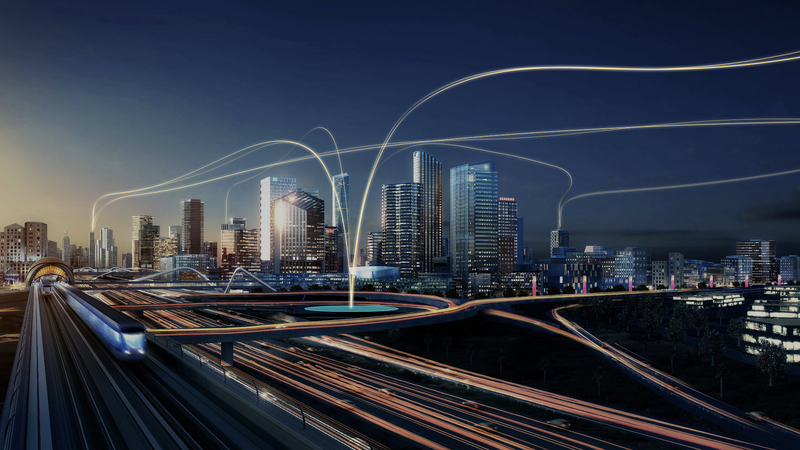 Dallas and Fort Worth’s mayors respectively both support this project, and share the goal of making the Dallas-Fort Worth area the first U.S. location for an on-demand flying car service. Dallas is also the host city for Uber’s ongoing Elevate conference, at which speakers from all of its partners listed today in this initiative will be presenting their ideas around electric vertical take-off and landing craft, and how to use them safely, effectively and affordably in cities. Uber says that it’s already working with the Dubai Road and Transport Authority, which is providing funding for studies aimed at figuring out where routes should go in the city, and how to optimize the flow of traffic, as well as what to charge riders. ChargePoint will help power the whole enterprise with a VTOL charger designed specifically for use with Uber’s VTOL network. Uber will work with Hillwood, a Dallas-area land developer, to create “vertiports” for VTOL pick-ups and drop-offs in the city. Embraer, Bell Helicopter and Aurora Flight Sciences have signed on for a large-scale manufacturing of VTOL aircraft, with short flight ranges designed for trips within cities. Uber will be working with these aircraft makers on the design of software and hardware used to manage and deploy the VTOLs, as well as the means by which local transit authorities and airspace regulators can plug into the system. This will be key, as Uber’s typical tactics of sidestepping regulation probably won’t fly when controlled airspace is involved. 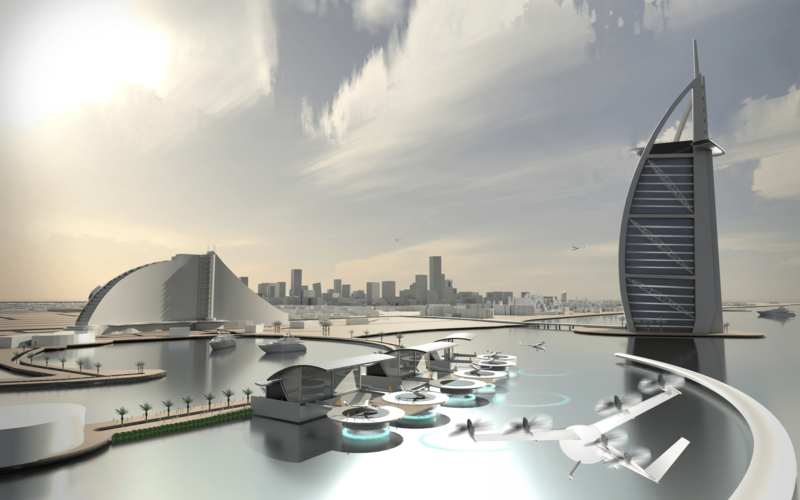 If there’s one word that can describe this VTOL project from Uber, it’s this: Distracting. But the company had plans to pursue flying ridesharing long before the other drama it’s currently dealing with, and for observers of this unique space, it’s no doubt interesting that Uber continues to press on.